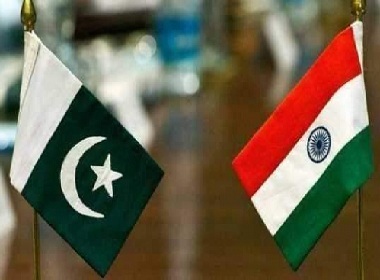 Even as India and Pakistan spar over the Kartarpur corridor, the Pakistan High Commission in New Delhi has issued 2,200 visas to Sikh pilgrims from India to participate in the annual Baisakhi celebrations from April 12 to 21. Under the framework of the Pakistan-India Protocol on Visits to Religious Shrines of 1974, a large number of Sikh pilgrims from India visit Pakistan to observe various religious festivals and occasions each year. During their visit to Pakistan, they visit the shrines of Panja Sahib, Nankana Sahib, and Kartarpur Sahib. The second rounds of talks slated for April 2 on the Kartarpur corridor—aimed at giving Indian pilgrims access to the Gurdwara Darbar Sahib in Pakistan’s Narowal district, where the founder of Sikhism, Guru Nanak Dev, spent 18 years of his life and is his final resting place—were cancelled after India voiced concerns over the presence of several Khalistani separatists in a Pakistani panel on the corridor. But on Monday, Pakistan said it had accepted India’s “proposal for a technical meeting” on the corridor to be held on April 16.